Learn to free your mind, body and spirit as you take a journey during this 2 hour Arm Balance and Inversion Workshop. Lori will teach you core strengthening poses and key fundamentals to lift off. She will help you explore variations of all the Crow Poses, Scissors (Eka Pada Koundinyasana I & II), FireFly (Tittibhasana), forearm balance, headstands, handstands and much more. Add a new level of play or adventure to your practice and explore the possibilities of freedom & flight! 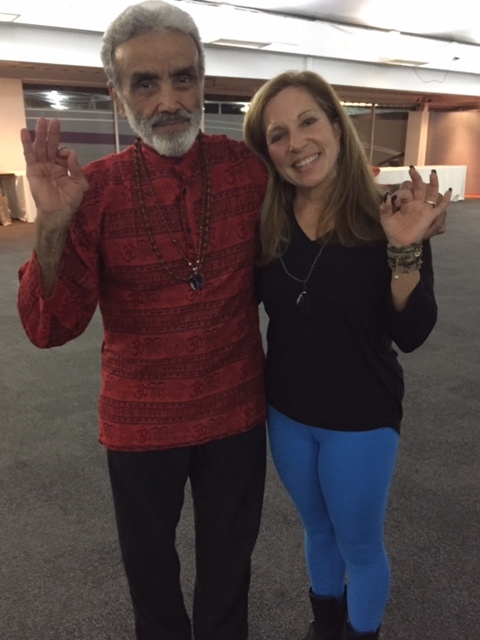 Lori is in the process of completing her 1000hr Teacher Training “Life Of A Yogi” with the world renowned Sri Dharma Mittra. She has already completed the 800 & 500hr Trainings with Sri Dharma who is known as the “Teacher’s Teacher” and the “Rock of Yoga”. She considers him her Guru on her spiritual path and has received the spiritual name Indra Devi Om as part of her lineage with Sri Dharma Mittra. She has also completed an additional 300hr training in India with Raghunath at Radhanath Swami’s Govardhan Eco Village. She takes several spiritual pilgrimages to India each year to help refuel her passion and devotion for all things yoga and loves to share it all with her students. Lori co-directs Vinyasa Teacher Training with Patti Doyle and is also a Lululemon ambassador.